May ended another successful year for our Boy Scout Explorer Post in Veterinary Medicine. Throughout the school year our group of aspiring veterinarians observed surgery and dentistry, learned about veterinary patient exams, diseases, laboratory testing, and radiology. These high school students were introduced to alternative medicine techniques including rehabilitation and acupuncture. 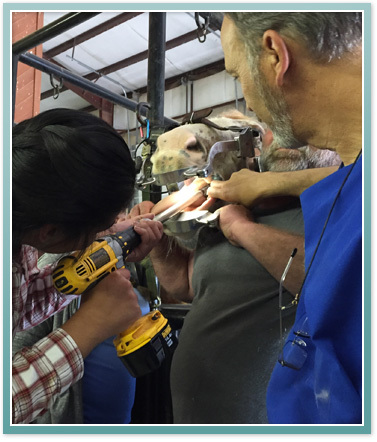 The year ended with a visit to an equine hospital where they received "hands on" experience with equine dentistry.